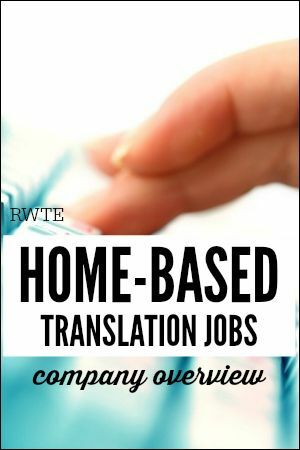 Are you looking for flexible translation work? Are you fluent in more than one language? Are you a fast and accurate typist who can meet deadlines? Then VerbalizeIt might be a work-at-home opportunity for you! VerbalizeIt is a company that offers cloud-based transcription and translation services in 150 languages, 140 countries, and 50 industries worldwide. As the world of business becomes more global, companies are reaching out more and more to translators to introduce their brands to consumers worldwide. Good news! You don't have to live in the United States to work there. have the document reviewed twice. You job will be to deliver that high-quality transcription and translation into the desired language. What Are the Computer Requirements for Workers at VerbalizeIt? What is Testing/Training Like at VerbalizeIt? Training will begin after testing. Only the top 10% of testers will make the cut. Training will be set and you can pick what is flexible for your schedule. How Do Translators Perform Their Job at VerbalizeIt? Once you have been selected to work there and once you have passed the necessary training, you will use your verified, valid email address to receive work notifications. First, you have to mark yourself as “ready” in their system. Then upon receiving notifications, you have the right to accept or reject work as it comes in. However, the faster you can respond to the requests, the better chance you have of becoming the first translator to respond. As you take on more requests and receive good feedback, you will have the ability to earn badges letting clients know of your standing. Are You an Independent Contractor or an Employee at VerbalizeIt? At VerbalizeIt you are an independent contractor and responsible for your own taxes. Should you make over $600 a year, you will be sent a 1099 Income Tax Form. What Are the Hours and Pay at VerbalizeIt? The hours are actually flexible and for the most part can be done on your schedule as long as deadlines are met. What is the Pay and When is Payday at VerbalizeIt? The pay will be commensurate with your work experience. Pay is on the 15th and 30th of every month via PayPal. While it doesn’t state how much you will make, you can view what the client pays and perhaps estimate how much of a cut VerbalizeIt will take. What Do Others Think of VerbalizeIt? Unfortunately, I did not find very many positive reviews on VerbalizeIt. Now, that doesn’t mean that there aren’t those out there enjoying the job and the money. Sometimes it’s only the bad reviews that get published. Here is the latest Glassdoor review. How Can an Interested Applicant Apply to VerbalizeIt? Go to the Become a Translator link on their website. Just follow the online application instructions and testing there. Good luck to all who apply, and please feel free to comment below if you have any experience with the company you'd like to share. Here are a few things you can do right now that will benefit you (or do all 3!). I had the exact same experience today! I felt quite confident about my transcription, but the follow-up questions were quite strange and vague. I completely agree with what you said. Glad to hear I’m not the only one! Hi! I actually just found this while looking for reviews from workers on Verbalizeit. 🙂 I just applied and did the first test, but just got an e-mail saying that I did not pass. The first test (apparently there are several), was a pretty time-consuming video transcription that took me over an hour to do, followed by 50 questions. I actually felt very good about the job I did on the transcription, but the 50 questions that followed were extremely confusing, and I am guessing that that’s the part I “failed”. You are asked to accept or reject (none, one, some, or all? Nothing was said about that in the instructions, though all were possibilities at least “physically”) the correct phrases from the very transcription you just did, though neither the video nor your transcription are available to review. Some of the phrases had obvious grammar, spelling, or punctuation problems so were easy “thumbs down” ratings, though many of them were simply nearly identical phases that just started and ended in different parts of the same sentence. I found that last part to be confusing, ambiguous, and frustrating, and just can’t imagine what I was supposed to have done there! I also just spent about half an hour looking at worker reviews of the company, and they are not too good, so I guess the only thing I lost was a couple hours of my time doing the test. I do think they could certainly make the test shorter (especially if that was only one of several! ), as it’s quite a bit of work only to be told “no”; couldn’t they have made it a 1-minute transcription instead of 4 minutes? 10-20 questions instead of 50? If you don’t pass, you are simply told so, and asked to not insist on details, as they have “literally 100s of applicants a day” (this is repeated in several places on the site, as well as their e-mail). I’d be very curious to hear about others’ experiences with the application and testing process!